Dr. Warman (Chardon)'s primary research interest focuses on identifying the molecular basis and the clinical characterization of rare myopathies, utilizing next generation sequencing (NGS), including whole exome sequencing and the clinical application of targeted large scale gene panels. Dr. Warman is utilizing next generation sequencing to drive gene identification and the phenotypic expansion of many rare neuromuscular disorders. She and her colleagues have successfully identified several novel genes, including a novel limb girdle muscular dystrophy (LIMS2) and are continuing to assess exome, clinome and RNA sequencing as clinical tools to help patients living with neuromuscular disease. 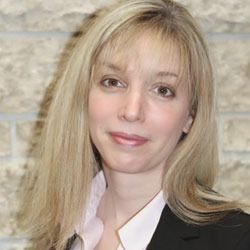 Dr. Jodi Warman (Chardon) is a Clinician-Scientist in the Department of Medicine at the Ottawa Hospital, Ottawa Hospital Research Institute (OHRI) in Neurosciences and Clinical Epidemiology, and Department of Genetics at the Children’s Hospital of Eastern Ontario/CHEO RI. Dr. Warman Chardon is also Assistant Professor and co-Director of the Centre for Neuromuscular Disease at the University of Ottawa. She received her MD/Neurology residency at the University of Ottawa and MSc from Queen's University. Dr. Warman completed research and clinical fellowships in neuromuscular disorders from McGill University and neurogenetics at the University of Ottawa. She is certified by the Canadian Society of Clinical Neurophysiologists (EMG). Dr. Warman’s clinical and research focuses on improved genomic and imaging studies for patient with inherited myopathies/neuromuscular disorders. McCurdy AR, Mielniczuk LM, Dennie C, Veinot JP, Warman Chardon J. Cardiac amyloidosis phenotype associated with a Glu89Lys transthyretin mutation. Canadian Journal of Cardiology . Forthcoming. Walker LA, Bourque P, Smith AM, Warman Chardon J. Autosomal dominant cerebellar ataxia, deafness, and narcolepsy (ADCA-DN) associated with progressive cognitive and behavioral deterioration. Neuropsychology. 2017 Mar;31(3):292-303. Bourque PR, Bourque G, Miller W, Woulfe J, Warman Chardon J. Combined isolated trigeminal and facial neuropathies from perineural invasion by squamous cell carcinoma: A case series and review of the literature. J Clin Neurosci. 2017 Jan;35:5-12. Yu YJ, Warman Chardon J, Bourque PR. Systematic analysis of clinical deficits in unilateral hypoglossal nerve palsy. Muscle Nerve. 2016 Dec;54(6):1055-1058. Chrestian N, Dupré N, Gan-Or Z, Szuto A, Chen S, Venkitachalam A, Brisson JD, Warman-Chardon J, Ahmed S, Ashtiani S, MacDonald H, Mohsin N, Mourabit-Amari K, Provencher P, Boycott KM, Stavropoulos DJ, Dion PA, Ray PN, Suchowersky O, Rouleau GA, Yoon G. Clinical and genetic study of hereditary spastic paraplegia in Canada. Neurol Genet. 2016 Dec 5;3(1):e122.